Sitting space issues are to find in everybody’s home today and this is raising the custom furniture desires! Custom furniture pieces not only give the best fit but also help to gain maximum of your interior spaces to use for other tasks! 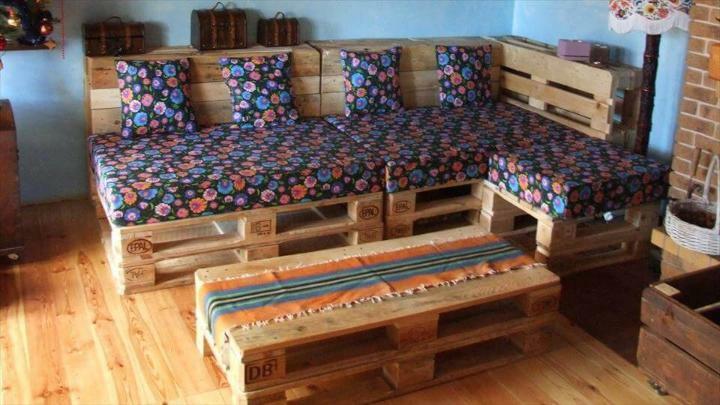 If you are really having a DIY loving heart then pallets may serve as an ideal solution to give you some custom furniture design like this DIY pallet sectional sofa set, all ready to organize your living room, patio or garden space! Whole installation has been done using pallet boards, original unmodified pallet boards for the berth sections and dismantled ones to fabricate the backrests! Backrests are thicker and lead to additional mantle levels which can create a prominent sectional display of your items of interests! By stacking two mini square shape sizes of pallets, a pallet coffee table has been achieved with a rustic decorative statement! The whole set has been done just on a lowest ever cost prize and budget plan! 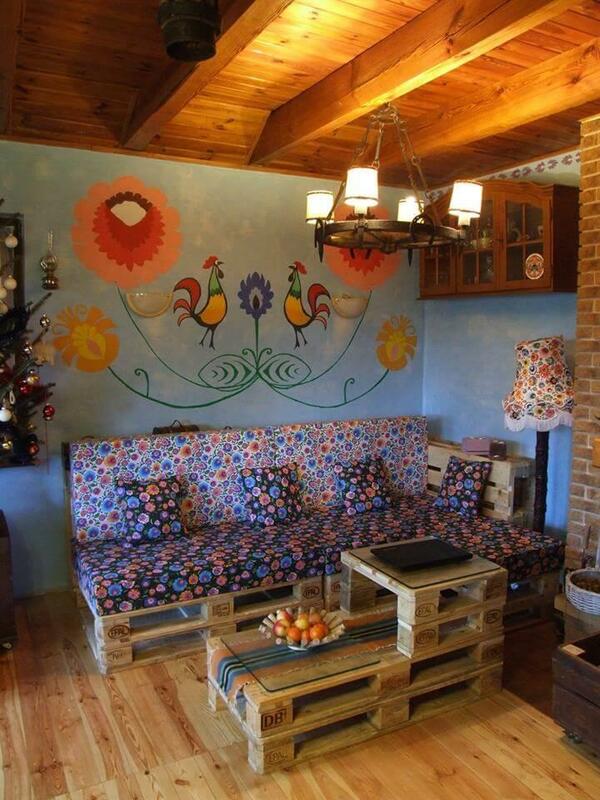 Original pallet boards have been packed to gain this sturdy sofa model having a perfect sectional design! Two stacked layers of pallet boards just give the raised berth section and some pallet boards have been put vertically at the backside for a comfy backrest positions! 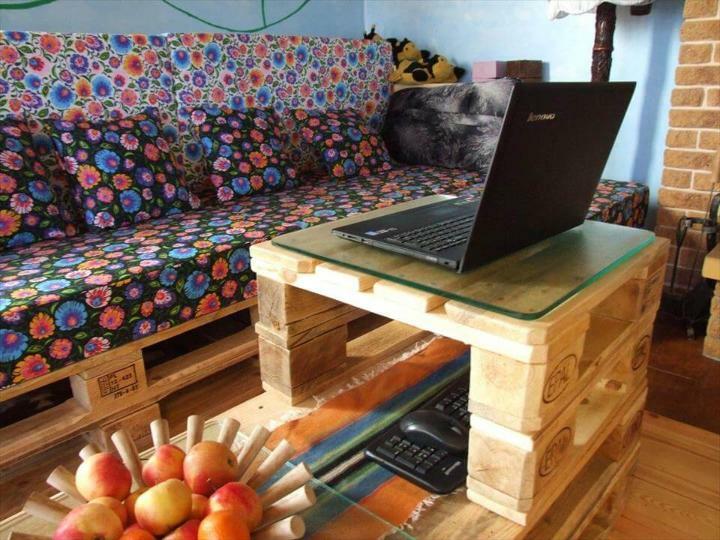 By creating a creative bunk of two pallet boards the coffee table has been obtained which has further a bunk of two miniature pallet sizes that allow the easy laptop operating! Checkout the plan here that how you can significantly use this table for multi-purposing! Both levels of coffee table have been finished with glass tops and hence looks fab and modern! 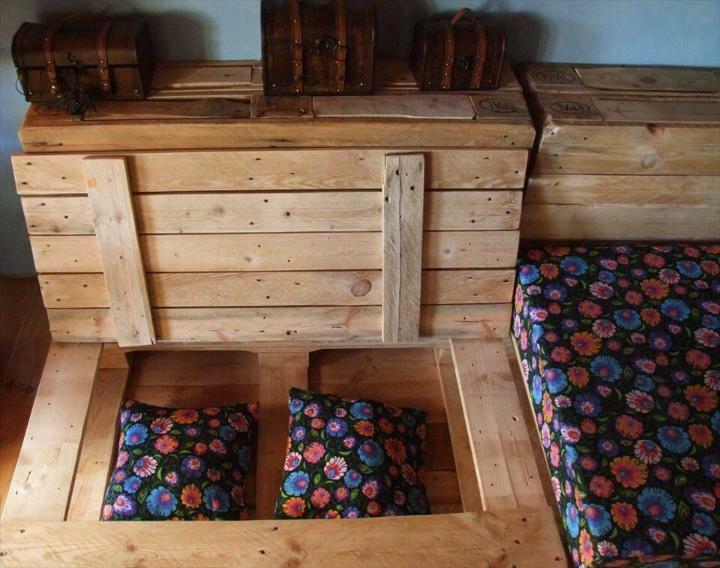 By going in a genius way, you can even create brilliant storage options in the seats to store the shoes, relevant material and also the pillows or pillow covers! 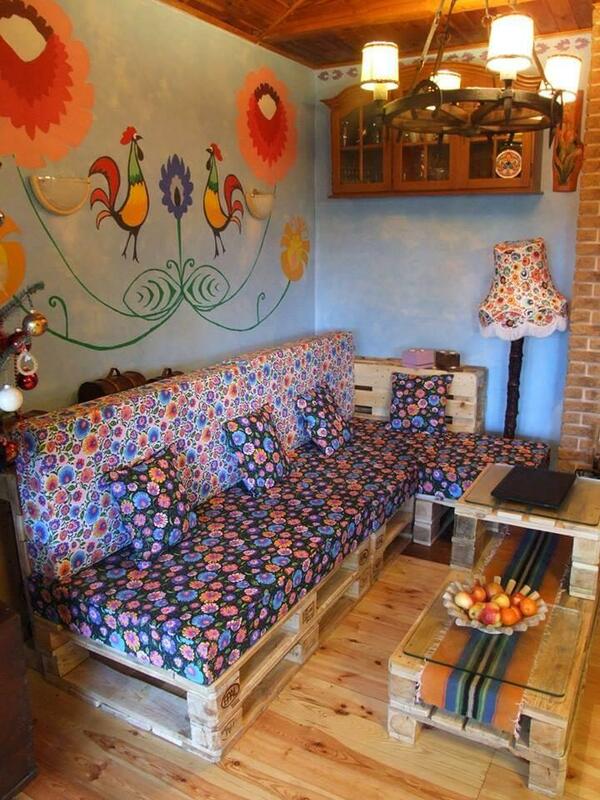 This is all simple demonstration of this pallet corner sofa set which can even be installed to your cozy living room interior! The seats have been cushioned by choosing a heavy duty foam mattress while and pillows have also been scattered just to enhance the look and comfort at the same time! 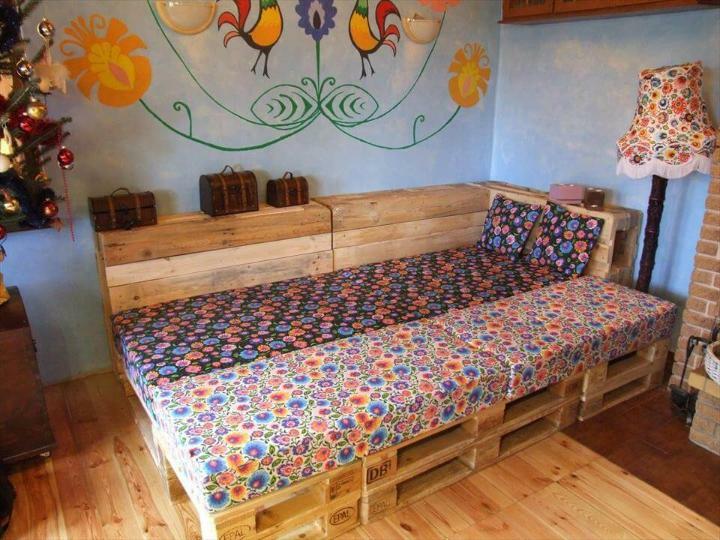 By adding one more layer of stacked pallets, this corner sofa can be changed into a brilliant day bed just to read your story books to go for afternoon naps!